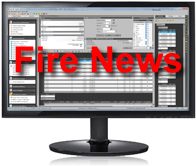 STEELCALC software estimates, analyses and compares different types of products for structural fire protection. It is the worlds most comprehensive package covering Intumescent Coatings, Cementitious, Fibre sprays and Boards for steelwork. Passive fire protection Manufacturers, Contractors and Estimators all benefit using its current data. You receive a steady flow of new information thoughtout the year and downloadable updates. 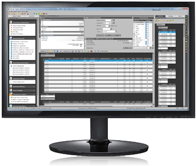 New, EN Version with multi-temperature input to match European testing data this version can be added to any BS Steelcalc by purchasing an additional licence. Have you tried Steelcalc 6 yet? - For a free Demo copy of Steelcalc 6 click on the above link Request Demo to register for a Steelcalc Demo Account. 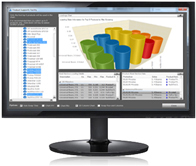 Once an account has been created you can download and try the Steelcalc 6 Demo with no time limit. Steelcalc Version 6.4.9.0 now released with Library 93. New, EN Version with multi-temperature input to match European testing data. Save up to £480 on our 'Complete Package' deal and over 55% on additional copies of Steelcalc!